Getit style 'whole style `the getit Beauty` s fashion plate, expect a lot of fashion people, the body's broadcast before the program. 'Getit style' fashion program in saturated how to differentiate what you are interested foreign shipment. Freshness was the first impression in many of these concerns and expectations of getit style 'televised'. Salridoe modeongeol 100% take advantage of the new format to present fashion trends, the role of the program caught the eyes of viewers. ANS Girls 'Beauty' getit 'style' getit modeongeol compared to just a mere audience. Never ever so heavily covered the general style of the fashion program at the non-selreop. 2 percent short modeongeol style changes to the items included in the set of four MC completely transformed me. But modeongeol revealing his opinion without hesitation accept MC of styling tips and broadcast initiative led went out. Together to make the most of the program can be seen as a companion, but they are mere audience or participants. In the article title, like clothes, often likely to see 'different feel' moved 'style' getit. MC-year-old woman literally wearing the same clothes each of the color styling tips presented differently corner. First broadcast items sweatshirt. Air - a boyish shirt and denim hot pants to the casual look of the Seduction line were wearing baggy pants Kim Na, flower pattern skirt and matching jangjaein the Lovely styling. Thus '1 Item 3 Ways' provides the most practical tips to viewers. "Getit style ', if the previous program focused on present trends existing basic items timeless styling also did not miss. Production will communicate with the public to meet the intent to increase the viewers' empathy index. The smooth progress of the Air - The broadcast was a bear. First MC challenge in spite of charisma rather encompasses other cast showed no awkwardness. Air - actively presenting their own style tips, and went boldly lead the program. // 겟잇스타일 - Ep.04 도수코 모델들이 입은 리얼웨이룩! 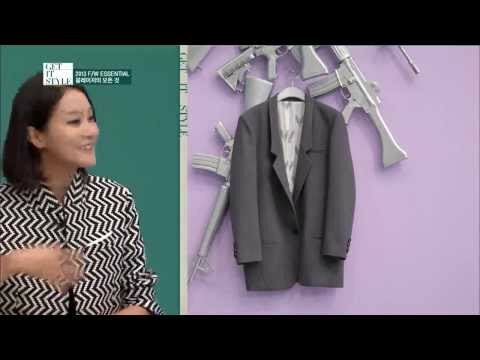 0 views runtime : 0:05:22 프로그램 공식 홈페이지 : http://getitstyle.interest.me/ [2013.02.28 방송] 도수코 모델들이 입은 리얼웨이룩은 어떤 스타일일까? 과감한 패션부터 단정한 옷까지! 강승현이 뽑은 오늘 최고의 패셔니스타는?.. // 겟잇스타일 - Ep.05 모던걸즈의 트렌드 룩 소개 0 views runtime : 0:04:50 프로그램 공식 홈페이지 : http://getitstyle.interest.me/ [2013.03.07 방송] 오늘의 주제 2013 살 것과 버릴 것! 모던걸즈 어떤 아이템을 킵하고 어떤 아이템을 겟했을까? !..